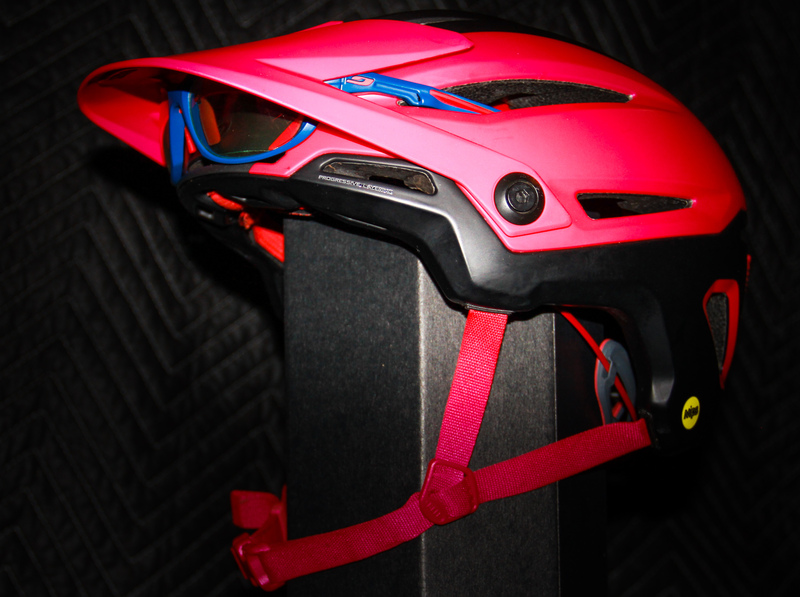 The Bell Sixer is an all mountain bike helmet with MIPS protection. 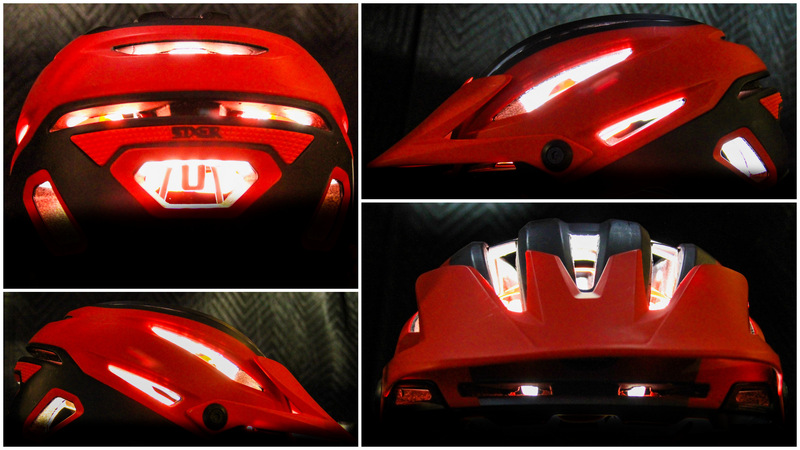 The Sixer’s shell is very robust compared to similar helmets and coverage is better than most. 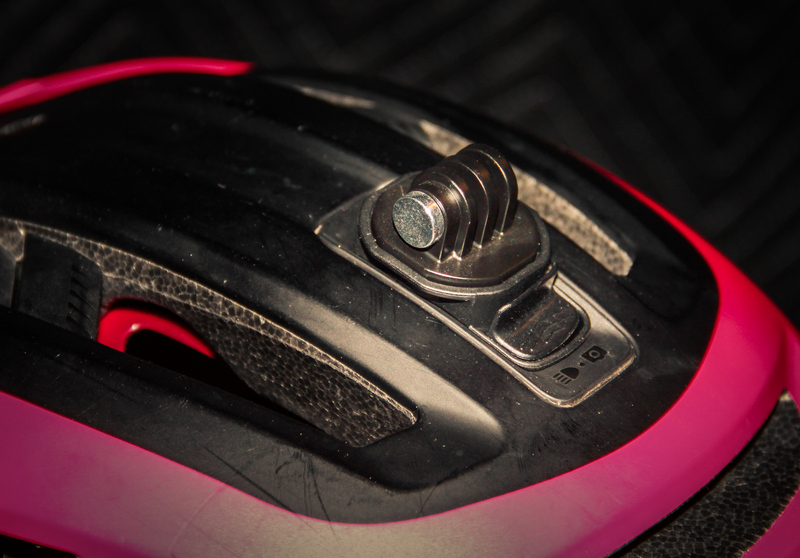 This half-shell targets aggressive all mountain riders that are not ready for a chin bar. The Bell Sixer virtually disappears once it’s on your head, despite being a very robust lid. The Sixer integrates the latest protection technologies available, including MIPS and progressively layered foam. 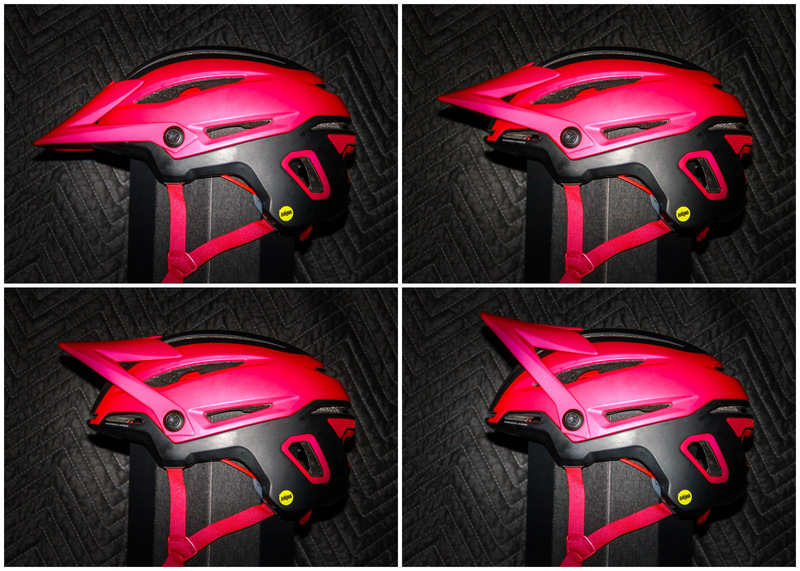 It is unquestionably a mountain bike helmet, not simply an enhanced coverage XC lid. The shell is quite durable and coverage extends exactly how far I’d hope, protecting the temples and wrapping down over the back of your head. This is the helmet I’ve been choosing when wanting a bit of extra protection, yet don’t want to wear a full face. While riding, the Bell Sixer stays in place well. It leans towards a more rounded skull profile, though its attachment system accommodated my oval noggin without flopping around nor feeling like there was excess room on the sides. Head tension is easy to adjust while still pedaling. There was no ear to shell contact and the strap system lets you adjust the chin strap fore and aft, to exactly where your body needs it. The ventilation is excellent while riding along at a decent clip, tallying in at 26 ports and even kept things cool on warm days. The Sixer’s integrated light/camera mount is handy and secure, though they do move around a bit through rough terrain due to the floating head strap. Bell Sixer Light/Camera Mount is well placed for cameras and lights. It’s functional without being too high. The visor system is excellent. Only a few positions are really needed and Bell covered them with the Sixer. Namely: 1) Goggle Storage (upper two settings, though only really needed one of them); 2) Ride (where the visor is just on the edge of your peripheral vision, low enough to shield sunlight, high enough keep vision unobstructed); and, 3) Hat Brim (low setting, blocking the sun when it’s directly in front of you). Bell Sixer visor positions exhibit extreme but useful range with detented positions. Glasses storage was one of my favorite features, similar to a clamshell case, keeping them protected and secure while the visor remains functional. Many helmets will allow under-visor storage, but the visor needs to be raised, so you lose all shading at the same time the lenses are not covering your eyes. 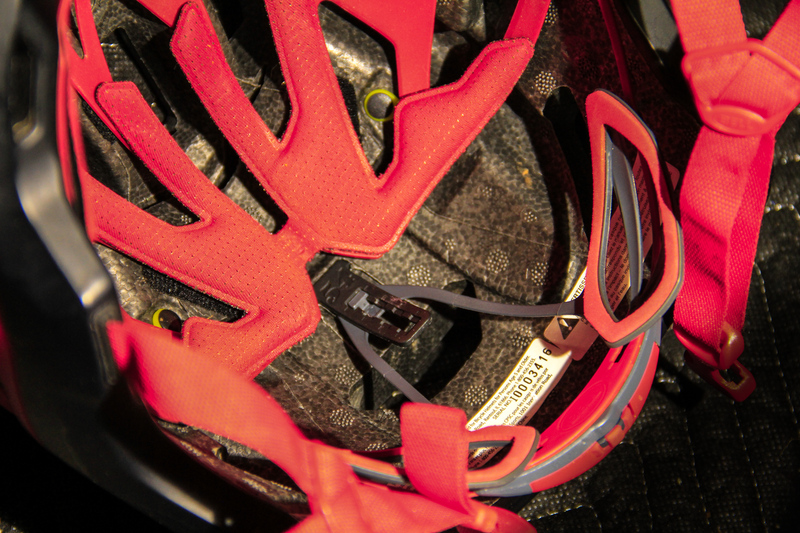 For road riding, stowing glasses on the top or rear of the helmet works fine. We are not riding on the road though. There are branches. Branches like to snag glasses at the bottom of a long climb, where you won’t realize they are missing until preparing to descend…at the top of the long climb! Yes, that means you’ll get to descend the climbing trail, searching for your glasses and then repeat the climb! Bell Sixer Glasses storage is so smart!! Bell’s solution is excellent for mountain, though there is a caveat, only some glasses work. I tended to wear this helmet when I planned to get a little extra rad, also selecting full frame glasses or goggles for those rides. Before publishing this, I grabbed my half frame riding glasses, and unfortunately found the storage system to be nonfunctional. There were zero places to store them. I hope Bell will improve their system to function with a wider range of glasses, because they will be leaps and bounds ahead of their competition. So, make sure to either check your glasses for compatibility or select some freshies that work with the helmet. The Sixer works well with goggles, and the rubberized Sixer logo in the rear holds the strap in place securely. The goggles I used lined up very nicely with the brow, and all helmet vents/ports remained functional. One note about goggles is that their strap pulling on the rear of the helmet can pull it slightly out of position, though this is common for most half shell helmets. 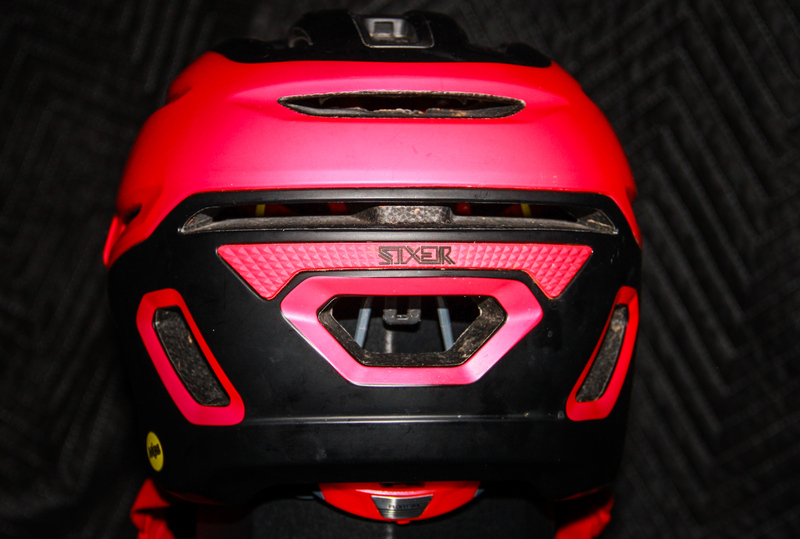 Bell Sixer Goggle Strap Gripper is attractive AND useful, just like the rest of this helmet. Bell’s X-Static padding is still working as-promised, keeping bacterial build-up at bay and the helmet stink free. The liner also worked better than others when wearing a beanie under the lid, gliding smoothly over it for cold riding days. The lowlight of the Sixer is its Sweat Guide padding system, which directs sweat to center front, causing it to drip directly into your face and bridge of glasses during slow climbs. That is annoying and causes glasses to fog, typically starting for me after ~15 minutes of climbing. To resolve, one just needs to stop, remove glasses and press on the front of the helmet to squeeze the waterfall of sweat out, repeating as required. 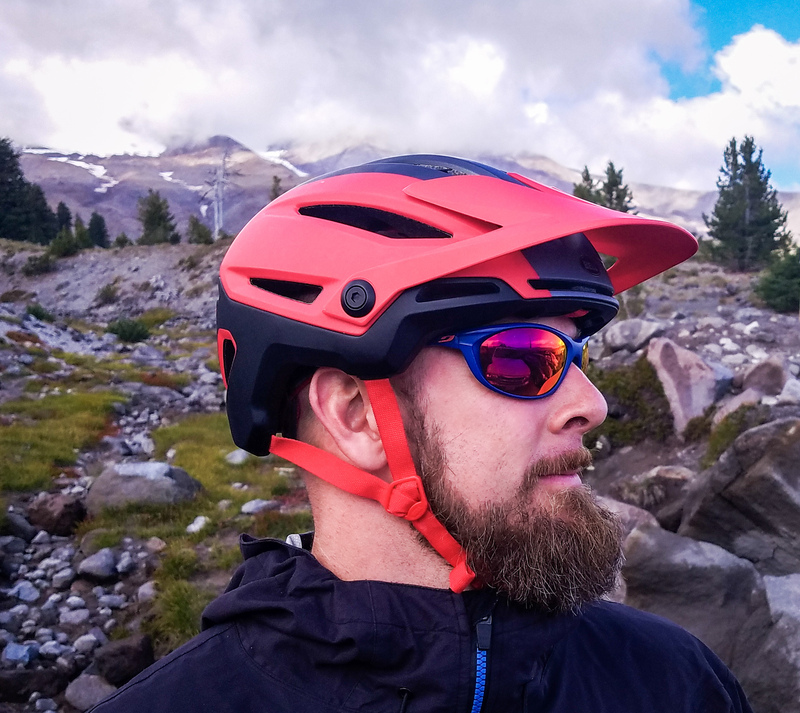 This saturation point is common with similar all mountain helmet liners, though some direct sweat to the outside, which works more effectively. Please note, I’m a worst case scenario for this, sweating heavily and having no hair, so am totally reliant on the helmet to deal with it. Thankfully we have no crash feedback, though the Bell Sixer is a helmet I’d trust to protect my gray matter. The combination of durable exterior shell, multi-layer impact reducing foam and MIPS system reflect the latest technologies available. 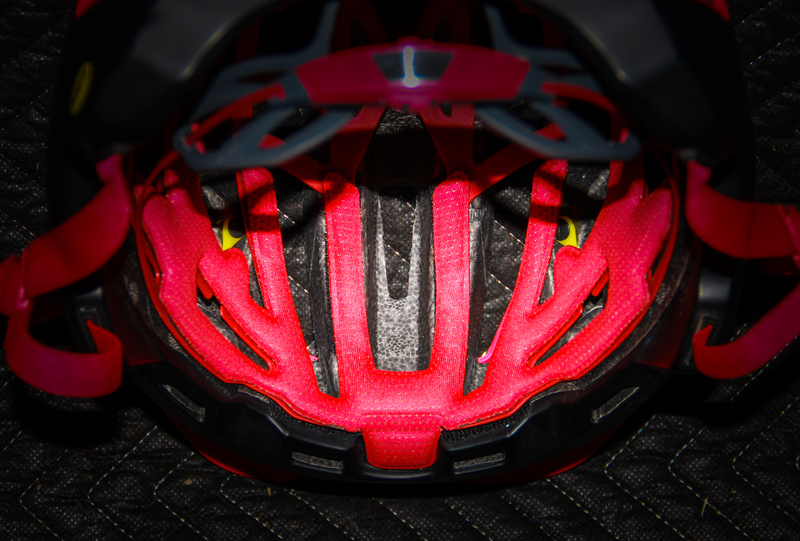 The Bell Sixer is an excellent half-shell helmet for aggressive trail riding. The strong outer shell will hold up to daily abuse and the visor and glasses storage work better than any other helmet I have tried. The Bell Sixer is our half shell helmet of choice when planning to get a little extra rad.